Ok, today I have quite a lot of stuff, and its all Quake2 related :p Believe it or not Quake2 is alive and kicking... and its engine is featuring some of the very best open-source games! 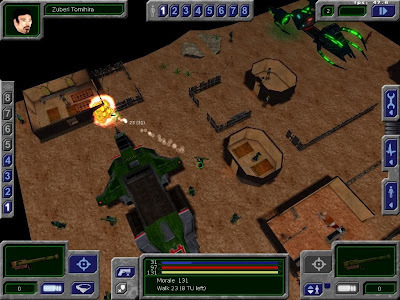 Oh and maybe this is of interest for some of you (personally I never really understood the need for it though): War§ow can now be played in a browser window via a Firefox plugin! Check out their development blog for more details. A rather interesting Project I was unaware of until recently is Ya3Dag. It has quite a lot of rather unique features not found in any of the other Quake2 engine enhancements, like a in-game level editor (! ), advanced terrain rendering, day and night cycles and maybe most interestingly a full Bullet physics integration! The developer of AlienArena showed some interest in the latter already, and I think the level editor and the day and night cycles would make a perfect fit for the Ufo:AI game! Check out more screenshots and some videos here! But lets talk about the actual game. Ya3Dag is aiming to become a single player adventure game (engine) where you play a poor legless pirate ;) It is already playable to a certain extent, but currently there is only a Windows version available (it works well with WINE though). I quickly send an email to the developer to ask him about this and some other things regarding the media license and future development: Currently he does not have any plans for porting the game to other platforms, but he is open to other contributors. So, if some people are interested in collaboration it might make sense to set up a proper source repository and such (e.g. a sf.net site). Furthermore he does have plans about replacing all artworks with really free/FOSS ones (Yay! ), but currently the project is still far from reaching this goal. Recently they have put out a call for help (especially for artists) so maybe you feel like contributing to a really ambitious project? They specifically state that you don't need to be perfect in modeling etc... someone with a good base knowledge and willingness to improve is very welcome! Check out their FAQ if you want to know more about the project. A small treat at the end! Ok this is something I just happened to stumble across in the Overdose forum. 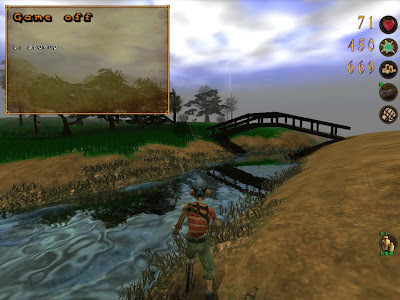 It's a pretty young project called "Axis Revenge" (name subject to change) currently working with the Xreal Quake3 Engine, but due to various problems with it might change to the Overdose engine (or the UDK, nooooo :( ). The rest of the project description sounds awesome too: Alternative history (after WW2) and game-play similar to Wolfenstein: Enemy Territory? Sign me up! But check out their website, and this thread for more awesome pictures! Oh and did I mention that they are looking for help too?